Earth First Landscapes is thrilled to have been recognized by Greater Houston Builders Association for our work with The Groves and their award for Community Entrance of the Year at last weekend's PRISM Awards! Over the years, Earth First Landscapes in Katy, Texas has had the privilege to work with some of Houston's finest community development companies in providing exceptional landscape contracting and maintenance specialists. We're thrilled to have been recognized along with Crescent Communities at last weekend's Great Houston Builders Association PRISM Awards ceremonies in our work with The Grove as they won Community Entrance of the Year! The award-winning residential landscaping by Earth First Landscapes at The Grove in Houston! 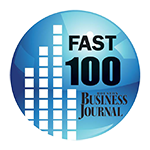 For nearly 40 years, the Great Houston Builders Association have recognized the industry's best with their Houston's Best PRISM Awards. These awards honor top production builders, custom builders, remodelers, developers and associates in their work to continually serve Houston with quality landscaping and development. The Grove is an unparalleled community located off Katy Freeway in Houston and was awarded Community Entrance of the Year at the GHBA's PRISM Awards. Earth First Landscapes is grateful for the opportunity to have provided the landscaping and maintenance needed to upkeep the beautiful, award-winning entrance of the Grove and other commercial and residential communities in Houston. If you're in need of commercial landscaping near Houston, do not hesitate to contact our team to get started today! 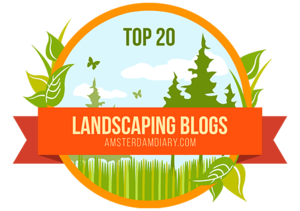 We look forward to working with you soon on your next award-winning landscape! Add Flatwork and Masonry to Your Commercial Landscaping!